Witchy Words: Summer Solstice / Litha: Ten ideas for solitary witches! 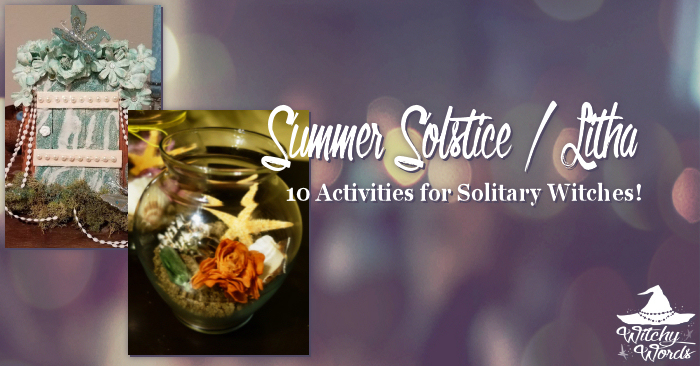 Summer Solstice / Litha: Ten ideas for solitary witches! 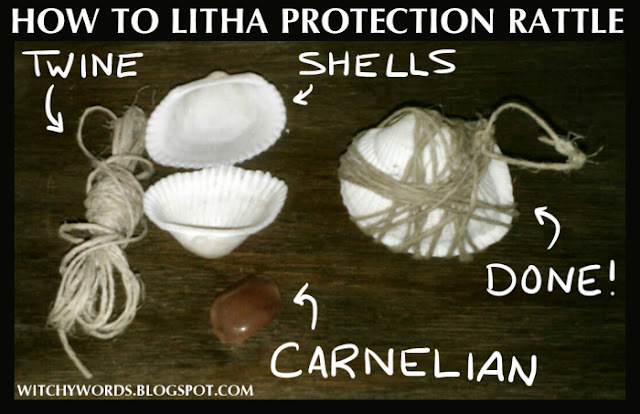 Utilize sand, shells, flowers, feathers and other easily-collectible items to create an altar to the sabbat like my coven did in 2015. Use two shells, twine and a small piece of carnelian to create a protection rattle like my previous coven did in 2013. 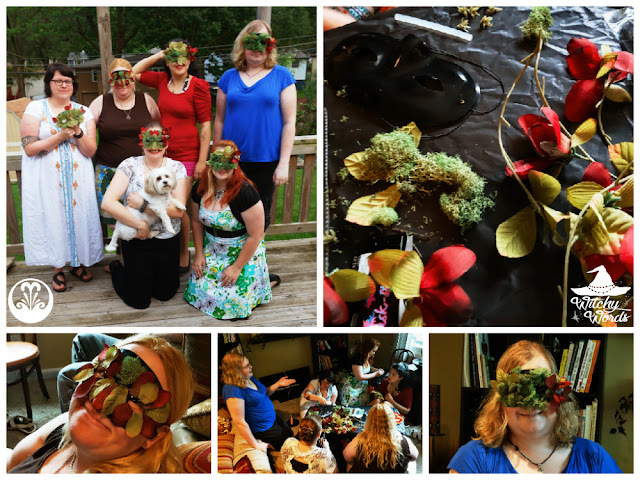 Create Green Men masks from leaves, petals, moss and other natural or silk items like Circle of Fountains did in 2015! 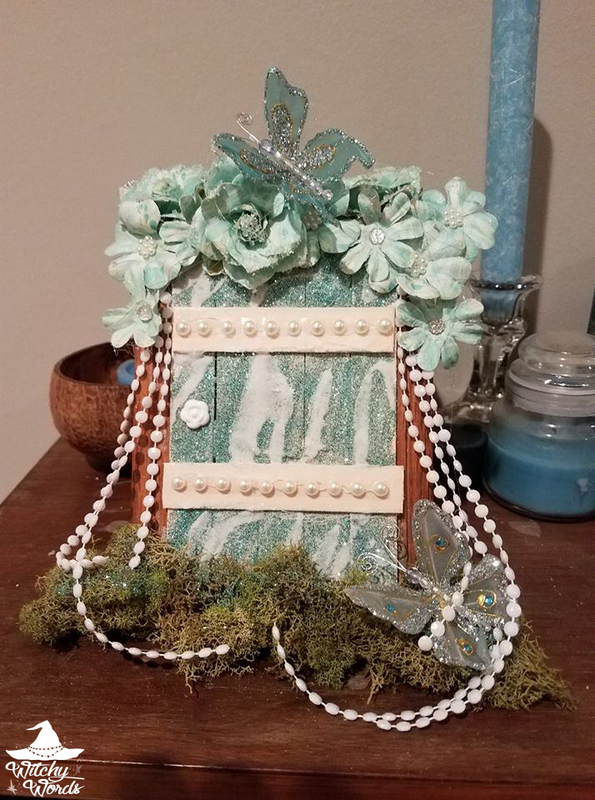 Construct inexpensive fairy doors from thrifted frames and popsicle sticks to welcome the Fae as we did at last year's full moon ritual. 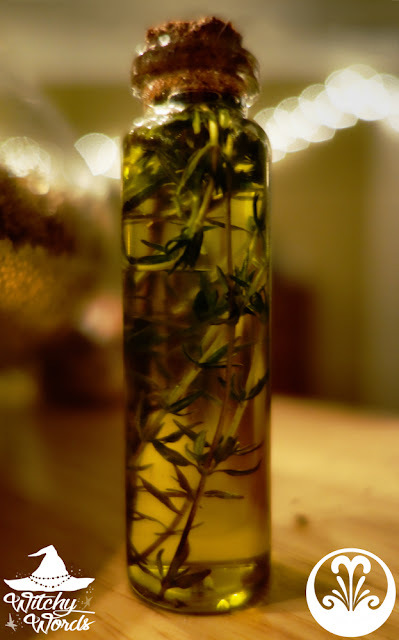 Make an oil to see the fairies that visit your door by placing rosemary in olive or grapeseed oil and letting it set overnight. Then dab it on your eyelids the night of the solstice, as we did back in 2015! Creating offerings to the Fae that represent life, nature and happiness. Offerings could include milk, honey, anything sweet, natural items and trinkets and more. Heena Lushede did this for their public ritual in 2017! Relieve stress from the longest working day by creating sensory bottles using water, Elmer's glue, glitter and beads like we did for our Midsummer ritual last year! 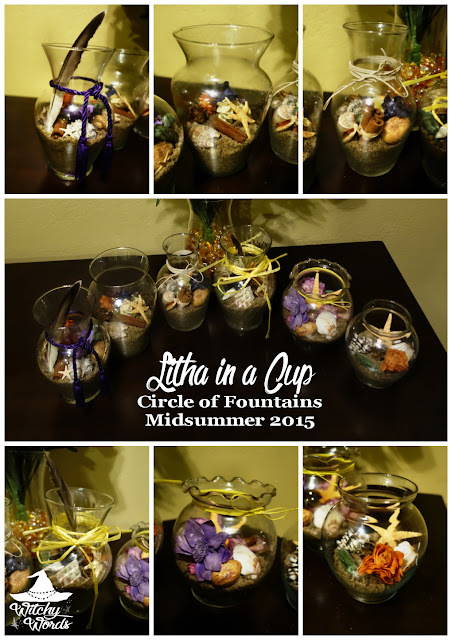 Create a spiral altar to represent the sun using stones and candles like I did for my altar in 2013, 2014 and 2015! Create a sun wheel out of natural flammable material and write your goals on it. Burn it in your Midsummer fire or barbecue like I did with my old coven in 2013. 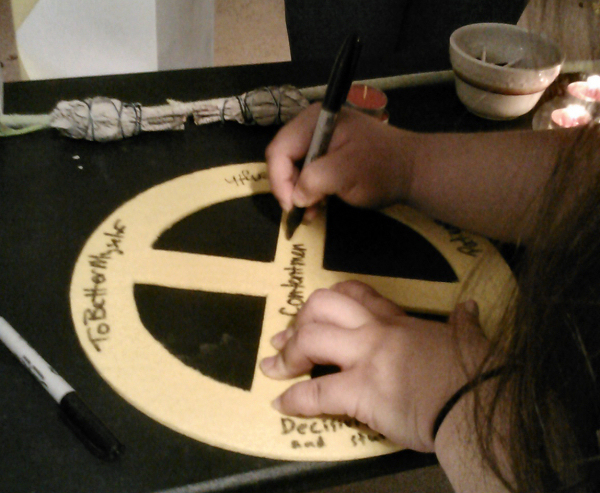 Create protective sigils on shell discs for the solstice like Circle of Fountains did in 2015! Best wishes to you as we approach the longest day of the year! Thank you so much! I hope yours was as well!